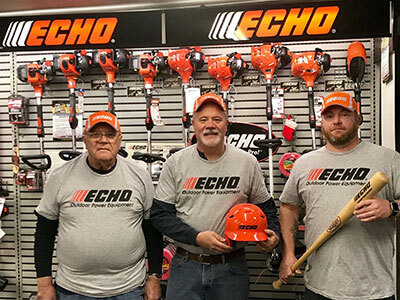 The website ECHOMeansBusiness.com named Ron Coleman, owner of Greenscapes Professional Outdoor Services, the winner of its 2018 Major League Baseball All-Star Game Package. ECHO Means Business (EMB) is a web portal, for professionals too network and grow, sponsored by Echo. When EMB launched in April 2017, registrants to the site were eligible to win daily, monthly and weekly giveaways. Each member who participated in different features of the website were entered for the prizes, one of which included an MLB All Star Game Prize Package. The trip includes airfare, hotel accommodations and tickets to the MLB All Star Game taking place in July. Not only is Coleman in the green industry, he runs a 400 player little league organization in his hometown of Rootstown, Ohio. Along with Ron, Joe and Vince Coia from Ron’s dealer, Coia Implement, of Ravenna, Ohio, also received the game package. Lush Lawn, a division of Safari Tree, is opening a new branch location in Plymouth, Mich. The building will offer customers a local team that will provide all their lawn, tree and pest control services. Lush Lawn & Safari Tree have also opened up new locations in Brighton and Rochester Hills in the last five years. Clean Air Lawn Care is celebrating 10 years of franchising its sustainable, solar-powered, organic lawn care business model. Improvements to electric lawn equipment, restrictions on noise pollution from small engines, and a growing awareness about chemicals used on lawns and expelled into the air by gas-powered lawn maintenance equipment have all played a part in Clean Air’s growth. Setting a blue sky goal for 2018, Giard’s hope is to open 18 more franchises across the nation this year. Opening for business in 2006 from the garage of CEO Kelly Giard, Clean Air Lawn Care has grown to include more than 50 franchise owners across the U.S., operating in more than 60 territories.